Ladies and Gentlemen, I present for your edification and leather working pleasure, Scottish leather cannon. 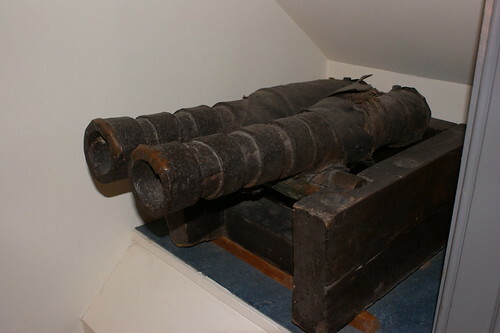 Double barrel type 2 leather cannon, West Highland Museum, Fort William. Sir James Turner, later spoke of the Swedish guns, “These guns which are called Leather-Cannon, … and are made with great art, and are light to carry, which is the greatest advantage they have” (Turner, Pallas Armata, Edinburgh 1683, p189). Twenty-three leather guns are in collections in Scotland, all apparently of similar manufacture. Four are in the Scottish National Museum. They were designed for carriage by a horse for increased mobility. Records of their use in the UK span from 1643 through to the late 1680s. Layers of hemp cord and woven hemp cloth show through the remains of the leather cover. The barrel was an iron tube made of sheet riveted together, strengthened by iron rings, not unlike other stave built iron cannon. The breech block appears to have been screwed into place. 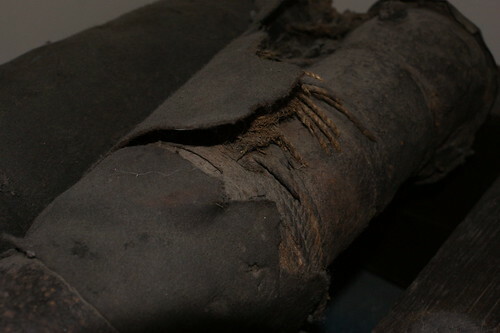 The barrel was then bound with one or more layers of hemp cord before having a leather cover sewn on. The seam went along the underside, unfortunately it isn’t obvious in my photos. Over the leather was a layer of copper sheet. 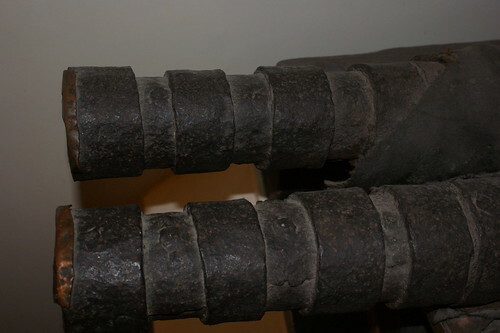 The copper sheath is clearly visible at the muzzle, as is the strength of the reinforcing rings and the rivets on the barrel. I know Mythbusters allegedly debunked the whole leather cannon “myth”, but I think they didn’t follow the construction correctly. Yes, I did shout at the telly, how did you know? I suspect they made the same mistake as the Irish at the siege of Ballynally Castle, County Clare, in 1642 by not including a properly sealed iron core. If you are interested in reading further, get a copy of Stevenson & Caldwell, Leather Guns and Other Light Artillery in Mid-17th-Century Scotland from the Proceedings of the Society of Antiquaries of Scotland 108 (1976-7), 300-17 from here. This trip differed from the previous two in the proliferation of both steam trains and leather vessels. Obligatory steam train photos. Don’t worry, it won’t happen again. Another change was the number of sites that now allow photography that didn’t previously. The National Trust comes in for an honourable mention here, although it was inconsistently applied. I’ll share some of those photos later, there’d be more but a couple of sites absolutely littered with jacks and bottels got grumpy when I asked for permission to get the camera out, even after trying the “we just travelled 14,000 miles to get here”™ sob story, so a big theatrical boo! to Shakespeare’s Birthplace Trust and the associated Hall’s Croft. The Birthplace Trust sites were inconsistent with their own rules, because Nash’s House explained how to get permission and I was able to take a couple of sneaky shots of the shoe horn and Mary Arden’s Farm let me blaze away to my heart’s delight as long as the flash was off. If anyone has a more easily concealable camera than mine, there’s a large bombard in the back room at Shakespeare’s Birthplace and a string of eight or ten costrels in the kitchen at Hall’s Croft. The thing is, by not allowing photography several sites missed out on our Tourist Pounds. Over the space of a five week trip, this added up to a not inconsiderable amount. There was no point going in to a site where we’d been before and had already bought the guide book if they weren’t going to let me take two photos in the back part of the building of something they considered too mundane to be in the guidebook or website. Some places with a camera ban were interesting enough that we went in and bought the guidebook and all the postcards instead, we knew about most of those before we left home and had budgeted for them. I shouldn’t be too harsh, these people own the places and objects and have the right to say yes or no, but some of them have some very funny ideas. My favourite was the group of lovely, helpful ladies a really nice place that claimed that non-flash photography of items in situ damaged things, yet had room lights on and curtains pulled back from the windows so it wasn’t UV degradation they were worried about. Maybe taking the image captured part of the object’s soul. Karma obviously came in to play because each time, another place we visited shortly afterwards had a similar object and allowed photos. 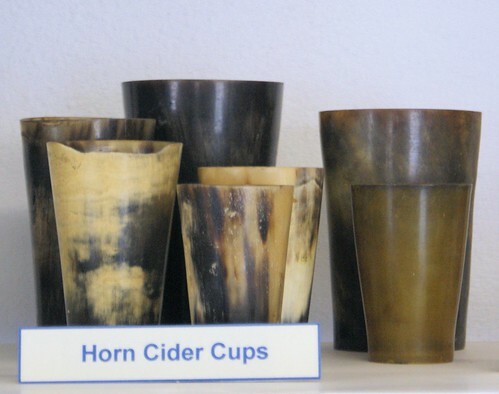 The following morning, in a museum we didn’t even know existed, surprise Elizabethan period horn cups. It was even the same number as at the place the day before with the curtains. Corfe Castle Museum, Town Hall, West Street, Corfe Castle, Dorset. So people, please put your photography policy on your website so we can plan accordingly. I’ve organised permits in the past and did for one site on this trip, and other times it’s nice to leave the camera in the bag and just enjoy your place. Some time back I wrote about the dodgy habit dating of jacks based on painted decoration and used the Oxford Jointer’s Jack from Baker as an example of what looked to be a seventeenth century jack that had been given an 18th century date, due to a later painted design. I had a chance to see the jack while on a recent trip to the Ashmolean Museum in Oxford and having seen it in the flesh, am even more convinced that it is a mid-17th century jack. While the painted decoration is dated 1712, stylistically this large jack appears to date from the mid-part of the 17th century. The silver bands at the mouth and foot are painted imitations probably contemporary with the paint. Sorry about the reflections in the glass, I wasn’t able to get around them. There are four layers in the handle, the embossed double lines around the spout are a characteristic of jacks of the period 1635-1650. Interestingly, this view shows three lines of stitching in the handle, rather than the more usual two. There’s another problem. Either Baker’s painting is based on a fanciful interpretation of a possibly written account, or we were looking at two different jacks. The arms on this one are the same but much rougher and on an oval shield, the date 1712 is in the same position and appears to have been done by the same hand, all the other text is missing and the foliage in the painting has been reduced to rough blobs of white. 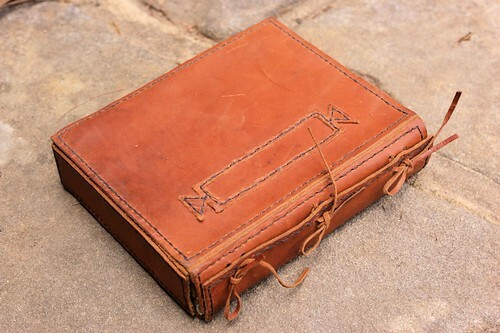 Yet the leatherwork has all the characteristics that Baker highlights as reasons that it can’t possibly date to 1712. The guild must have had more than one, keeping the flash one for the important table and plainer ones for mere members. I couldn’t see the other side but there is a watermarked photo of it here. 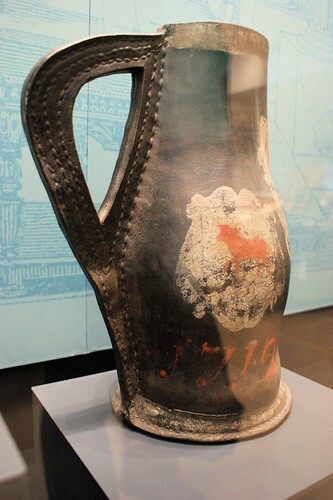 If the link takes you to the home page, search for “Blackjack jug, 1712”. it to the period before 1650) and the one in my photos is the George Taylor one. You can see part of the inscription in the Bridgeman Art photo in the link. implied, that Mr Baker had been too much at the laudanum. 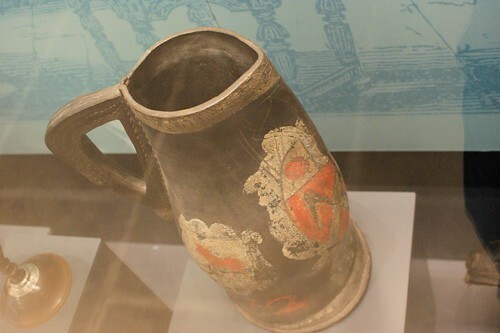 The date of the arms and painting is therefore not earlier than the reign of Queen Anne, but the jack itself has the air of being rather older, and there are incised lines on the spout portion arranged in a pattern not unusual in jacks of the 17th century. It has also tho letters I G twice impressed in the leather, which are doubtless the maker’s initials. 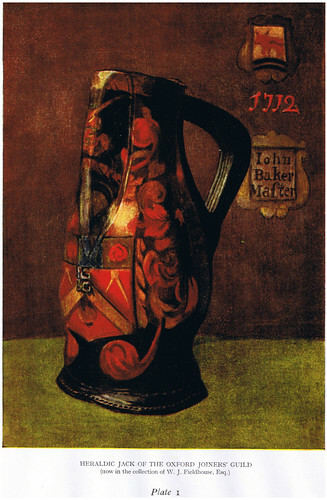 John Baker must have re-painted and perhaps presented the jack while holding the office of Master. but it never made it into the final volume. Baker’s Plate 1. I think I can see a top and middle line of stitching on the picture, similar to the ones in my photo above, probably meaning the jacks were all made by the same person/factory and only the quality of the painting differs. I may also be delusional. LEATHERN JACK OF THE JOINERS’ GUILD OF OXFORD (PL. X). At the time of the disbandment of the old guilds in Oxford in the 19th century, their property was unfortunately scattered far and wide instead of being preserved in the city to be a witness to Oxford’s past. Some of the records and the box of the Cordwainers’ Guild came to the University at the death of Mrs. Herbert Morrell of Blackhall, while various pieces of plate have in recent years passed into the possession of the Goldsmiths ‘ Company and in one case of the Ashmolean Museum. Last year the fine leathern black jack of the Joiners’ Guild (illustrated on PL. 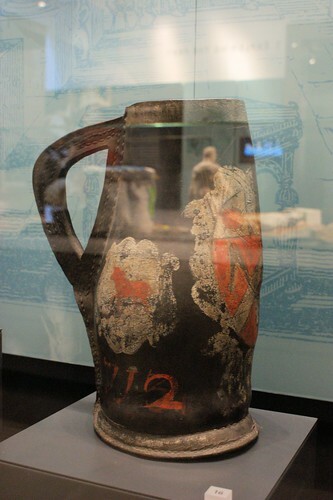 x) was presented to the Ashmolean Museum by Miss A. E. Badcock of Leamington Spa, whose family have a long association with the city. 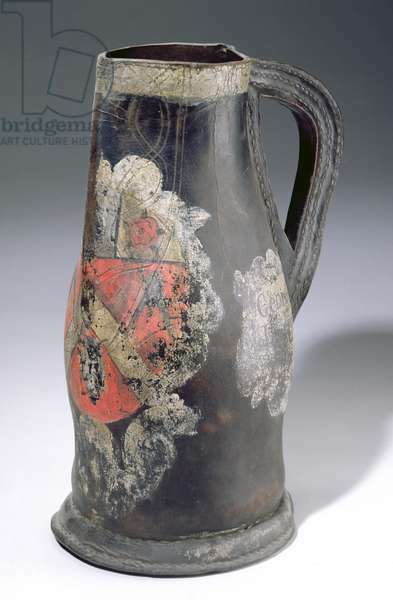 It has scroll-work stamped round the spout, the letters LG (twice) in front and a large 4 on the base, and is embellished with arms and labels in colours, red, yellow, green, white and black. On the front are the arms of the Joiners’ Guild, argent, a chevron between three compasses with mantling; on the left the arms of the City of Oxford, below which is the date 1712, the 2 painted over an original 3. On the left an escutcheon bears the name GEORGE TAYLOR MASTER in two lines. The date must have been corrected to record the year of his entry on the mastership. Another jack of the same guild is known. It is similarly decorated and also dated 1712, bears the name of John Baker as Master, presumably Taylor’s predecessor in office. My current crackpot theory is the Oxford Jointers had four or more jacks, at least two of them were made in the period 1635-1650 and probably by the same maker. The similarly impressed initials on both tend to support this. 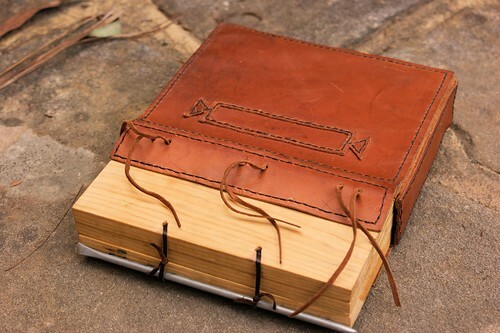 Baker has a little to say on that subject, “When impressed in the leather with a stamp they may be regarded as those of the maker, as it could only be done successfully when the leather was wet and supported by the wooden block inside… ” (p184). During the time of John Baker’s mastery (which I haven’t been able to ascertain but the use of “I” instead of “J” does lend to a 17th C date), one jack was given the painted arms and escutcheon as befits the dignity of the jack used at the master’s table. Years later, possibly around the middle of the 18th century, the new master, George Taylor had another of the jacks painted to celebrate his mastery. Taylor’s wasn’t necessarily done as a copy of John Baker’s, as the arms of the guild and the city are common elements. The escutcheon does look to be copied, but that could be a coincidence. The execution of the painting on Taylor’s, is clumsy and looks to have been done by the stereotypical “bloke who could do it for cheap”. The 17132 date appears to be in the same paint and by the same hand as the rest of the design, the mistake possibly resulting from the date being painted in well after the fact. Interestingly, the 1712 date on the John Baker jack appears to have been done by the same person at this later date. Another interesting element is the painted bands around the top on both and foot on the Taylor jack. These imitate the silver collars and in some cases foot rings which Oliver Baker comments on being mostly an 18th century innovation.